Of all the fruit joints in all the towns in all the world, they had to be on the shelves of mine. To be precise, these little Casablancan beauties were reduced. £2 to 49 pence. That’s got to be a bargain. But why did no-one want them? For my money, it was the name. What would you call a small round mandarin-like fruit that tastes like a mandarin? Indeed, it is a trick question. Because you would not call it a mandarin. Or, indeed, an amber jewel, or sunfruit, or anything alse that has rhythm or beauty in its title. This little orb was called a Nadorcott. Its history is a strange one, resting as it does with a Moroccan fruit pimp who profited from a contraband liaison between a thoroughbred and an unknown father. Chance cross-pollination, they called it. I’ll say. The aristocrat was the Murott mandarin, and no-one knows who the downtown boy was. The offspring was, apparently, rather seedy. The man who found them, waifs amongst the Murcotts, was called Mr El Bachir Nadori, a Moroccan who acquired French Nationality in 1997. And he tried the fruit and it was jolly nice, but the seeds were a bit much really, even for a Casablancan fruit. So he separated the offspring. He planted them in a figurative ivory tower, where no cross-pollinating bee could sully their innocence. And he waited to see what the fruit would be like. It was virtually seed free. He knew he was onto a winner. This was easily peelable, flavoursome, a fiery little bauble with not a seed to get trapped in unsuspecting teeth. The Holy Grail of the modern fruit world. And unlike the Grail, because Nadori found it, he got to name it. Nador, for Nadori; and cott, as in Murcott. Making, in total, the Nadorcott. Probably a bit better than using the Mur from Murcott, and the dori from Nadori. No-one would want to buy Murdori fruit, I’ll give you that. But no poetry. An onomastic travesty. Dr Johnson would turn in his grave. However: the rest is history. Ungainly names travel slow. That was back in the heady days of 1982, and it has taken until today for the word to penetrate my consciousness. That’s 31 years; the time it takes for light to journey from Gamma Pavonis to Earth. There is an Association des Producteurs de Nadorcott (APNM). Its address is one I would sell my soul for: 21,000, Casablanca. I stood in the supermarket and stared, casting about for someone with whom to bray like a donkey at this outlandish word. Nadorcott. But had life gone differently, and those fruits chosen my farm, I may well have pampered my ego by calling it a Shrewsfruit. One can hardly blame Mr Nadori for seeking a kind of immortality in a small tangerine. So I got home and started writing and peeled one of these things, and absent-mindedly ate it. And yet another. They are moreish, these saucy little sirens of the fruiterer’s shelves. Ladies and Gentlemen: I think this is the beginning of a beautiful friendship. Posted in WhimsyTagged Casablanca, food names, fruit, Morocco, nadorcottBookmark the permalink. I must have a good look, Sidey, thank you! 😀 This was quite funny, the more you looked.. I shall have to trawl the supermarches. “Cherchez le Nadorcott” will be my watchword. …and the assistants will stare, baffled at you, and ask Pourquoi n’êtes-vous pas l’achat de nos mandarins français? Never heard of them Kate! Lidl’s? Nah. They’re still just selling oranges. As I read this my littlest is exasperated that I ate the last two tangerines on him. How was I to know he wanted them as his after school snack? They are coveted by the whole family, aren’t they, Belle? They really are 🙂 Delicious! Kate, I’ve never heard of a Nadorcott before… never even seen them! However, last week I bought some Citrus Fruits, that were actually oranges… although not. We live in a confusing world, don’t we? We do. I like the little peelable versions, though. And they go so well in Christmas stockings! Never heard of those Nador-thingies. They look a bit like our naartjies, but those vary from pipless to very pippy indeed. Not a pip in sight in these ones, Col! Sorry to have been such an absentee reader these last weeks. I’m shamefully behind everywhere, and missing my blogging friends fiercely. Am I the only one who finds these extremely tasteless and actually quite unpleasant to eat?? My mum bought them and i’ve tried them twice and won’t again, nowhere near as much flavour as a tangerine / mandarin. Never again! PS: We loved your writing style. 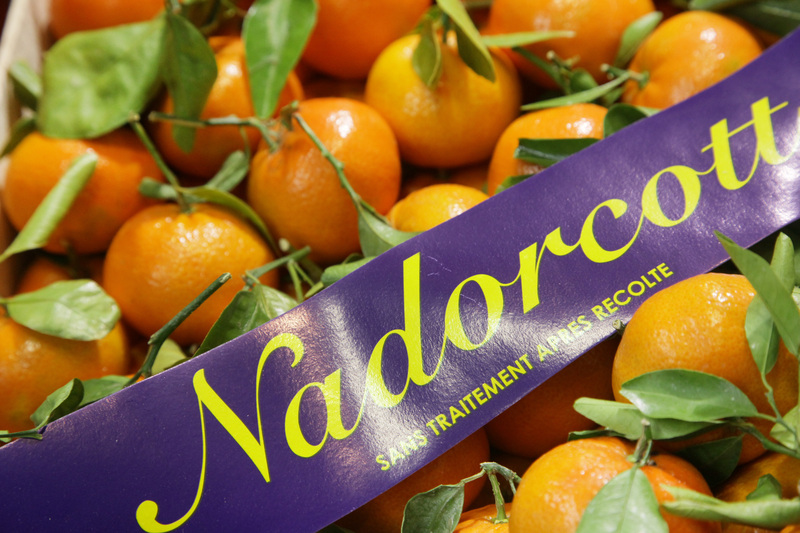 I love these nadorcotts but thought it was a misspelling of Nardicot…another orangey fruit.They are incredibly moreish.Going to get some more tomorrow!!! Just bought a bag of these. I’m in Canada. Since my daughter and I are into trying to grow citrus we’re researching. I’ve eaten two of these and they are lovely. One had 2 seeds and the other had only one. I’m soaking the seeds now to see if they’ll sprout. The bag was labeled “Clementines” but a further reading told me these were Nadorcotts all the way from Morocco. Buying citrus trees here is expensive.